A further novelty from the photovoltaic market. The more flexible and lightweight a solar cell, the more opportunities to use them. 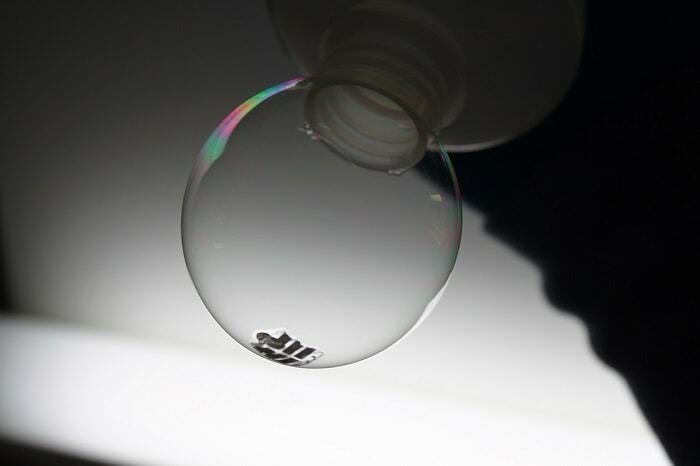 According to the Massachusetts Institute of Technology (MIT), researchers presented the thinnest and most lightweight solar cell which can be even put on a sheet of paper or a helium balloon. There is still a long way to go before the first market launch but the proof of concept in the laboratory demonstrates a new approach of an ultra thin generation of solar cells with a considerably broader range of applications. 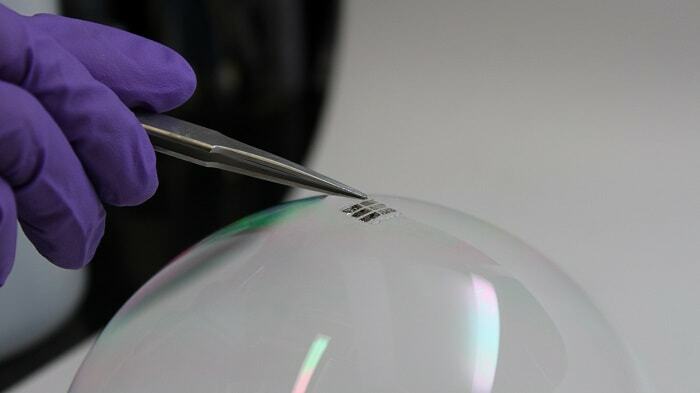 A working solar cell allegedly can be placed on a soap bubble without popping it. Bulović, research scientist Annie Wang, and doctoral student Joel Jean reveal that this innovation is realized by combining the manufacturing of the solar cell and its two components in one procedure. The components are the supporting substrate and an overcoating which protects the inner parts from the environment. Both are made of a common flexible polymer called parylene. Parylene can be deposited easily with thicknesses of up to 80 microns. It is available on the market and not an extraordinary material. For the primary light-absorbing layer, the scientists used the organic material DBP. However, when it comes to the particular choices of materials, the team will not commit themselves. The above mentioned materials are just examples. They are easily interchangeable. The state that “it is the in-line substrate manufacturing process that is the key innovation”. A common solar cell production process needs strong chemicals and high temperatures. In this case, the entire production process of the ultrathin, flexible photovoltaic cell is carried out with a vacuum facility at room temperature and without solvents. “We put our carrier in a vacuum system, then we deposit everything else on top of it, and then peel the whole thing off,” explains Wang. Including substrate and overcoating, the final ultra-thin, flexible solar cells are just one-fiftieth of the thickness of a human hair and one-thousandth of the thickness of equivalent cells on glass substrates — about two micrometers thick — yet they convert sunlight into electricity with the same efficiency as their glass-based counterparts. The solar cell efficiency is low compared to common technologies. But when it comes to power-to-weight ratio, it is the highest ever achieved. A typical silicon-based solar module with a glass cover generates 15 watts of electricity per kilogram of weight. The lightweight solar cell has a demonstrated output of 6 watts per gram — about 400 times higher.